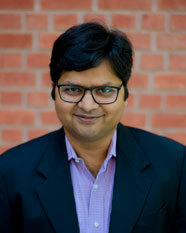 Pushpendra Priyadarshi is currently an Associate Professor in the Human Resource Management at IIM Lucknow. Earlier, he worked with University of Delhi, IMT Ghaziabad, MDI Gurgaon, besides IIM Lucknow. His research interest has been in area of Organizational Application of Positive Psychology, Job Insecurity and Diversity. He teaches courses on Positive Psychology, Coaching and Mentoring and Leadership apart from Organisational Behaviour and Organisational Structure and Design. He has undertaken consulting assignment for various organisations of Govt. of India, Govt. of Uttar Pradesh and Govt. Of Uttarakhand in the areas of Training Need Analysis, Process Review of the Programme, Curriculum Design and Socio-Economic Impact Evaluations. His teaching interest lies in areas such as Mindfulness, Job Insecurity, Work Engagement and Diversity issues. His research feature in Journals like, Evidence-based HRM: a global forum for empirical scholarship, International Journal of Happiness and Development, International Journal of Educational Management, Journal of Workplace Learning, Indian Journal of Industrial Relations and International Journal of Indian Culture and Business Management among others.